When Palmer Luckey needed money to develop his virtual reality headset, the Oculus Rift, he turned to crowdfunding. Over a month-long Kickstarter campaign in 2012, 9,000 backers put up US$2.4 million; a year and a half later, Oculus VR was acquired by Facebook Inc. (Nasdaq: FB) for US$2 billion. If the US$300 many of those online supporters pledged had bought them equity instead of an early version of the Rift, they would have netted a $43,500 payout, by some estimates. Equity crowdfunding, the offering of shares of (typically startup) companies on crowdfunding platforms akin to Kickstarter, has been legal in Europe, Australia and Israel going back as far as 2010, but it’s only now catching on in North America. Saskatchewan was the first province to formally recognize this web-enabled alternative to traditional venture capital or private equity fundraising in 2013. 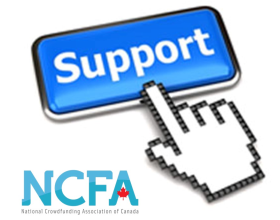 Regulatory changes set to take effect on Jan. 25, 2016, will legitimize equity crowdfunding in Ontario, Manitoba, Quebec, New Brunswick and Nova Scotia. 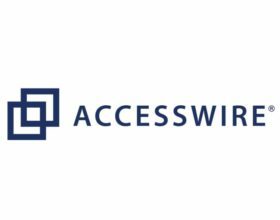 Accredited investors will be able to invest up to $25,000 per company (up to a $50,000 yearly total), while non-accredited investors will be restricted to $2,500 per investment (and a $10,000 cap in Ontario). British Columbia adopted rules in May capping individual investments at $1,500. The provinces restrict the kinds of companies that can seek funding and how much they can raise. Those looking to set up online portals where issuing companies can list their offerings will also be required to register with regulators and fulfil certain gatekeeper functions, like doing background checks on issuers and reviewing disclosures. Another issue is the lack of transparency. Notwithstanding regulators’ intrusion into the market, the requirements for financial and governance disclosure are nothing like those for publicly traded companies. You can’t expect to find third-party analysis of the venture, and your financial adviser likely won’t be much help either. McDonald suggests sticking to companies in sectors you understand well.